The Last Supper is probably one of the finest pieces of Art our team have had the pleasure of looking at and admiring. This 15th century mural created by the great Leonardo Da Vinci was originally a commission by the Church in Milan. The theme is quite simply unique and inspiring to many artists throughout the world, due to the sheer quality of the painting. Over the years this wonderful piece of art has had various restorations made to it, due to intentional damage and environmental issues. 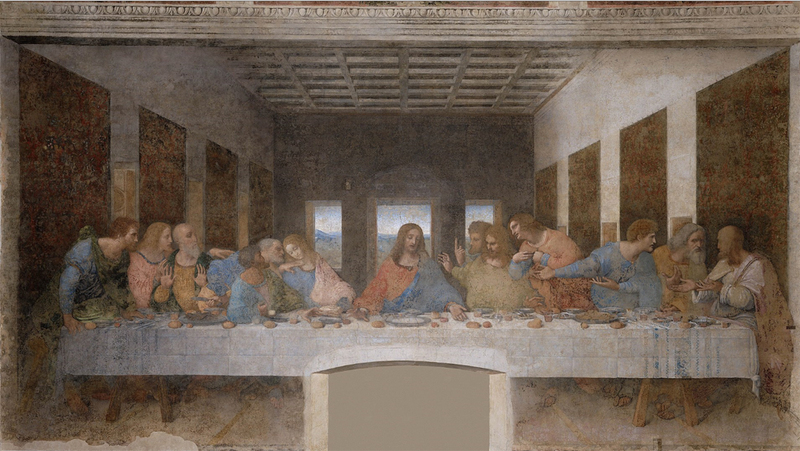 The Last Supper of Jesus and the apostles could not be better represented than with this 180 X 350 Inch wall mural. It can be viewed in the monastery of Santa Maria Delle Grazie in Italy.